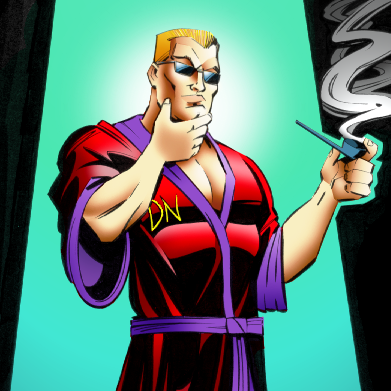 Here's the first (as far as I know anyway) Duke Nukem HRP video at 60 FPS. I know you specifically asked for Megaton videos, but that doesn't seem to be followed, so... Meh. In case you miss the edit, you have to actually view it on YouTube with HTML5, on 720p or higher, with a supported browser. Sorry if the FPS in the top-right annoys you, I was just stalking it with my eyes to make sure it didn't dip below 60. I had to go with the second latest version of EDuke32 as the newest on synthesis doesn't have a 64 bit version and the 32 bit was slower. Anyway, it's just a casual playthrough of E1L1. I uploaded it at 1080p and it's currently processed up to 720p@60FPS, so hopefully it will soon get to 1080p@60. It sadly doesn't appear to work with Firefox, though I've read it does work on Opera, and I'm using Chrome at the moment. I also don't know if it works with the flash player or if it's required to use the HTML5 player. I just got over-excited about the 60 FPS capability of YouTube, so here's one! Here a co op video on Megaton with 4 players including myself, Duke Returns, MrRose, and JMW.